Anyone who has encountered a greyhound will know that they are gentle and affectionate dogs who want nothing more than a soft bed and a loving home. Tragically the vast majority of racing greyhounds will never experience that loving home. The industry itself has admitted to killing up to 17,000 healthy dogs each year, including 7,000 pups and young dogs that never even make it to the track, and thousands of dogs that are 'retired' from racing who will die, simply because they are too slow to win. They’re called 'athletes', they’re treated as commodities, and they often cop suspicious glares because of those big ugly muzzles they have to wear. But greyhounds are just about as gentle as you can get — and while they may be bred to race — they’re born for much more. It’s time to put a few misconceptions about this gentle giant to rest. There’s a reason why they’re known as ‘60km couch potatoes’: greyhounds love sleeping — and they’re REALLY good at it. And on the rare occasions they can be caught upright, these guys would rather be eating or playing than joining you on a strenuous hike or 10km run. Greys are built for speed – not endurance. So a short daily walk and some play time is usually enough to keep them happy and healthy. Greyhounds are affectionately considered to be the laziest breed — however just like any dog, they love to play! A grey will bow and vocalise to let their human or animal friends know when they’re ready to have some fun. This usually ends with what are known as ‘zoomies’ – running around in circles and bowing — a hilarious and infectious display of joy that may only last 10 minutes before it’s time to nap again. Greyhounds are naturally gentle dogs, but as 'sight hounds' they can easily be incited to chase moving objects. Cut-throat trainers can take advantage of this by 'taunting' dogs with tethered live animals, and tying animals to fast-moving lures. This cruel and illegal practice, called ‘blooding’ is not the choice of the dogs — it is the choice of cruel people looking for a ‘winning’ edge. Many greyhounds are discarded by the industry because they simply refuse to chase at all. It’s important to remember that, just like all dogs, each greyhound is an individual – so while some of them may not like cats and other small animals, others see them as best friends. Speak to your local greyhound rescue group for advice about the perfect grey for you and your other furry friends! Greyhounds are unique in that they are one of the most exploited canine breeds. To many, their only value lies in their ability to run fast, and ultimately win money for their owners. But to those who love them, these incredible dogs are so much more. They are loyal, devoted, affectionate, playful, sensitive, and loving. In fact, in all the ways that matter – greyhounds are just like any other dog. In most instances, state laws require greyhounds to wear muzzles when in a public area. This is based on the assumption that the dogs have been trained to chase (and possibly harm) small animals. But, as many greyhound rescuers are well aware, a muzzle does not signify that its wearer is in any way aggressive or a threat to you or other animals. If you see a greyhound with a muzzle on – try not to judge! There's likely to be a big softy behind that 'mask' who’d love nothing more than to meet you (and your canine companion!). As with any dog, it’s always polite to ask the person at the other end of the leash if their greyhound is open to meeting new friends – communication is always key! One of the best things about big dogs is that there’s more of them to love. And after a life confined in a small kennel, many rescued greys will relish the opportunity to be at your side (or on your lap ... or couch ... or bed). They may be “90% legs” but that doesn’t mean they don’t snuggle up as well as the next dog! Greys may be the fastest dog, but this doesn’t mean they’re happy in the racing industry. In fact, many dogs live a life of deprivation in kennels – kept in pens or crates for up to 23 hours a day. Not to mention those who are injured and/or killed on the racetrack. Greyhounds love to RUN – not race. They also love to play, sleep, cuddle and be loved for who they are – just like any other dog. With hardly any body fat and a very fine coat, greyhounds are particularly susceptible to the cold. Access to a warm, dry and safe area is vital at all times, and extreme measures (AKA greyhound pyjamas) may be required on especially cool days. Greyhounds are very space-efficient. Not only can they compact themselves into an impossibly small ball for optimum cat-cuddling, they’ve even been voted as one of the best breeds for apartment living. As long as their sharp minds are kept active (lots of play time and interaction) and they are walked regularly, a greyhound can make a perfect inner-city companion! Once you have opened your heart to a rescued greyhound, there’s no going back — these sensitive dogs have a way of leaving their mark on all those who love them! For many greyhounds, their adoption into a forever home will be the first time they’ve ever had someone to love them for who they are – not how fast they can run. And they will gladly return that love and more for the rest of their days if given the chance. Discover just how great life can be with one of these amazing dogs in it, by temporarily fostering or permanently adopting a ‘60km couch potato’. They may never know you saved their life – but they’ll be forever grateful for the new life you’ve given them. Please don’t adopt a greyhound unless you are committed to it for life. If your lifestyle doesn't allow you to be fully committed to a dog, you can still help greyhounds by becoming a foster carer with one of the groups listed below. Every Greyhound is a national directory of greyhounds needing a home. Listings include greyhounds available from dozens of adoption groups, as well as private re-homing by trainers and members of the public. Named after the online classified site, Gumtree Greys rescues and re-homes greyhounds from a variety of sources throughout eastern Australia, with a primary focus on Gumtree online classifieds, regional pounds and directly from trainers. Claws'n'Paws Rescue is a large non-profit rescue organisation based on the Central Coast (NSW). They have a dedicated Greyhound Rescue program whereby dogs are rescued directly from pounds, classifieds, RSPCA as well as directly from trainers. Much care is taken to rehabilitate and place them in suitable, loving forever homes, whilst educating the new owners responsibly. The Friends of the Hound Greyhound Adoption Group is dedicated to the welfare of Greyhounds. They create public awareness of the Greyhound as a gentle, affectionate dog and excellent family pet and aim to rescue and re-home as many as possible. The Greyhound Adoption Program (NSW) is a non-profit organisation (non-industry) dedicated to the welfare of Greyhounds. Their primary purpose is to educate the public on the benefits and care of Greyhounds as companion animals, and to find permanent loving homes for them. Greyhound Rescue was set up to find homes for the many greyhounds surplus to requirements of the racing industry. Greyhound Rescue is run by Peter and Janet, a retired couple, who have worked in dog rescue for many years and now devote their attention to greyhounds. Founded by Jodi Green, Greyhound Re-homing works mostly within the Tamworth area to rescue and/or re-home greyhounds from the Tamworth pound & trainers. The Greyhounds as Pets (GAP) program is the Greyhound Racing NSW adoption initiative. *This group is affiliated with the racing and gambling industries which kill thousands of greyhounds every year. GRANT rehabilitate and re-homes ex-racing greyhounds that have been surrendered by owners and trainers. PAWS is an animal shelter in Darwin that usually have ex-racing greyhounds in their care who are looking for forever homes. Animals in Need rescue, rehabilitate and re-home a variety of animals, including greyhounds. Greys4Pets are a private animal shelter who re-home surrendered and retired Greyhounds, along with all other breeds of dogs. The Greyhound Adoption Program (GAP) is the Racing Queensland adoption initiative. 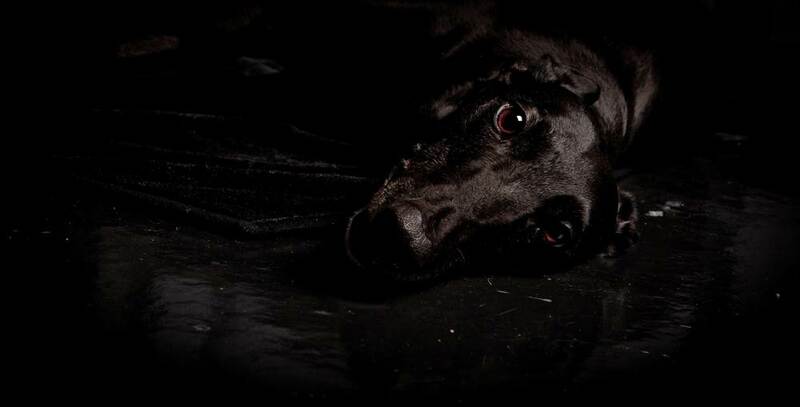 Greyhounds New Beginnings is a Brisbane based group who rescue ex-racing greyhounds and provide them with a second chance at life in a loving forever home. The Greyhound Adoption Program (GAP) is the Greyhound Racing SA adoption initiative. SA Greyhound Adoption rescues and finds loving homes for ex-racing greyhounds. Kennel2Couch we co-ordinate with trainers to rescue and re-home their retired greyhounds. Brightside have a range of animals for adoption, including greyhounds and other dogs who have come from council pounds and would otherwise be killed. Many of the animals at Brightside have suffered from neglect or cruel treatment. The Greyhound Adoption Program (GAP) is the TasRacing adoption initiative. Greyhound Haven is a privately run (non-industry funded) sanctuary for greyhounds, operating in northern Tasmania. They aim to re-home greyhounds where possible as well as provide information on the care of greyhounds as pets. Amazing Greys were founded out of compassion and love for greyhounds exploited by the racing industry. They rescue and re-home surrendered greyhounds and greyhounds from local shelters. Greyhound Haven is a self funded greyhound rescue and rehoming service in Mildura. Greyhound Rescue Victoria are a group in South East Victoria, Australia who rehabilitate and re-home surrendered ex-racing greyhounds. Greyhound Safety Net endeavour to provide a safety net for retired Greyhounds who may not otherwise be saved. Their mission is to find homes for as many greyhounds as they can. The Greyhound Adoption Program (GAP) is the Greyhound Racing Victoria adoption initiative. Gippsland Greyhounds rescue, socialise and re-home retired racing greyhounds in the Gippsland area. Busselton Greyhound Awareness aims to raise awareness about the plight of ex-racing greyhounds and to provide information regarding fostering and adoption. Greyhound Adoptions WA rescue greyhounds which have not made the grade on the track or no longer wish to race, and place them into homes where the love and affection they offer can be returned. Greyhound Angels are dedicated to finding responsible homes for greyhounds that are no longer required for racing or simply were not fast enough. Greyhounds As Pets is a the Greyhounds WA adoption initiative. ARAN Animal Rescue NZ is one of a few dog rescue groups in New Zealand who specialise almost exclusively in rescuing death row pound dogs. They also rescue greyhounds when possible. Greyhounds as pets is the Greyhound Racing NZ adoption initiative. Hounds4Homes work to increase the number of greyhounds re-homed after racing. They encourage prospective adopters and ensure that they understand greyhounds and their needs. Located in Canterbury. HUHA actively works everyday to find homes and foster care for a multitude of homeless, abandoned, seized and abused animals - including many greyhounds. Located in Wellington. Southern Cross Greyhound Adoptions is dedicated to finding 'forever homes and families' for greyhounds in need throughout New Zealand. Southland Greyhound Adoption is a charity dedicated to finding forever homes for ex-racing greyhounds and believe that every dog deserves a life after racing.